Do you have concerns about your riser’s venting system? If so, our FlexDefend® equipment may be the answer you’re looking for. FlexDefend® is a lightly constructed steel repair clamp which has integrated hot-tap fittings, to reinstate a venting system’s functionality. This eliminates any danger of riser failure caused by outer sheath over-pressurisation and rupture. FlexDefend® can also be supplied in a modular design to seal flowline damage on static lines. Our client had an existing operational riser with known blockages to the venting system. As the vent ports were no longer functional, normal positive/negative pressure testing methods were not possible. This meant the riser could no longer undergo outer sheath integrity testing and was at risk of an over-pressurised annulus area. The risk, if not addressed, could result in a ruptured outer sheath. 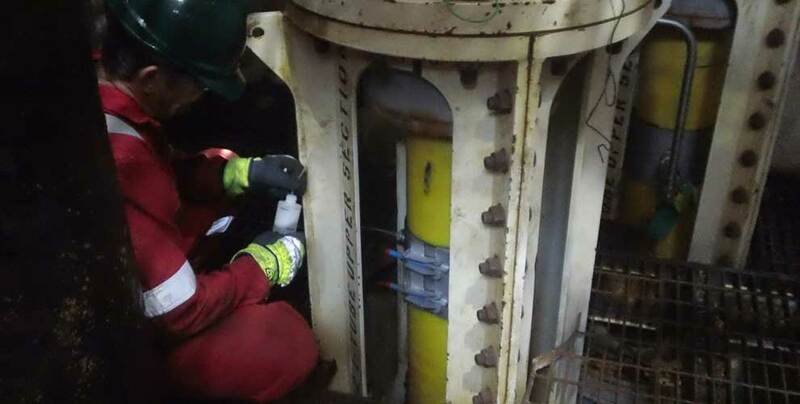 We were contracted to carry out an in-depth vent port system examination and, depending on the outcome, install a Venting Collar to create an alternative vent route for the permeated gas within the riser annulus. We confirmed that all three vent ports were blocked after gathering data from a six-week monitoring period of the vent port pressuresand in-depth annulus testing using a highly sensitive flowmeter. A tailored clamp with a built-in vent port was installed at the highest accessible point on the riser. Using a special drilling system with built-in gas venting capabilities, a hole was carefully drilled through the clamp and outer sheath of the live riser, to ensure the armour wires were not damaged. 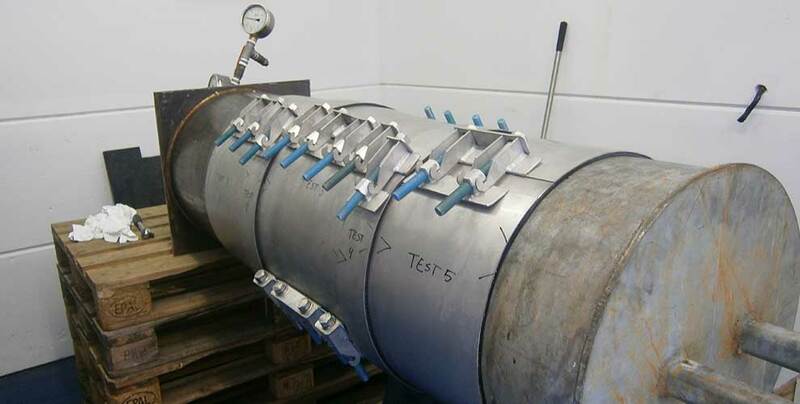 The newly introduced vent port was plumbed into the FPSO vent systemand the riser annulus tested to verify its integrity. A global supermajor operating in Australasia suffered a pipeline outer sheath rupture on a gas export flowline. The probable cause of this failure was the blockage of end fitting pressure release valves, which led to a build-up of pressure within the flowline annulus. This eventually led to the ballooning of the flowline outer sheath and ultimately to an outer sheath breach. The breach was a longitudinal crack which presented a challenge for the feasibility of repair. We adapted the design of our FlexDefend® venting collar to allow it to be segmented and installed in short sections, suitable to accommodate differing diameters and a small degree of curvature. It was also designed to be suitable for diver handling. The segmented FlexDefend® design maintains the venting capability which is an integral part of this design. Given the critical aspect of this project, it was turned around quickly: the delivery was made three months after the client’s first contact with Flexlife.